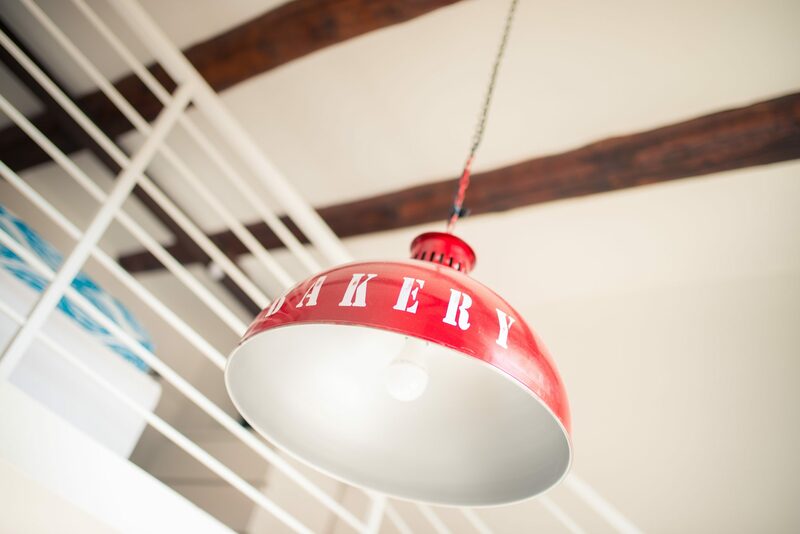 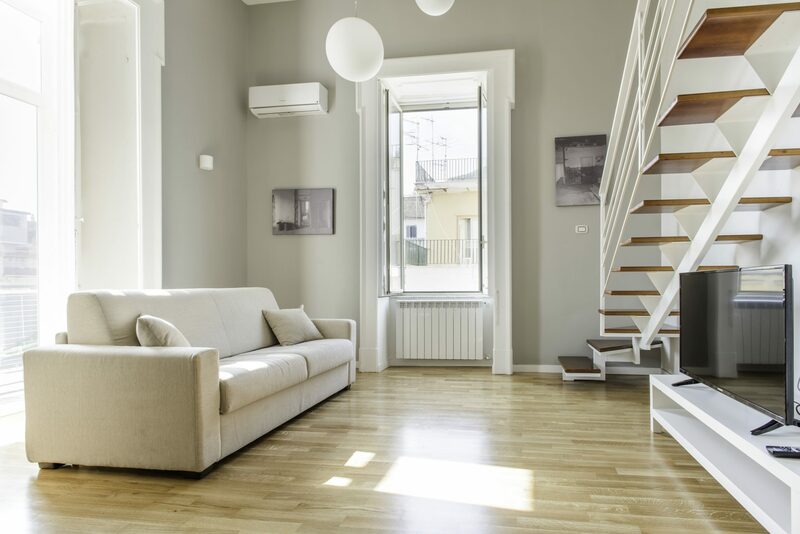 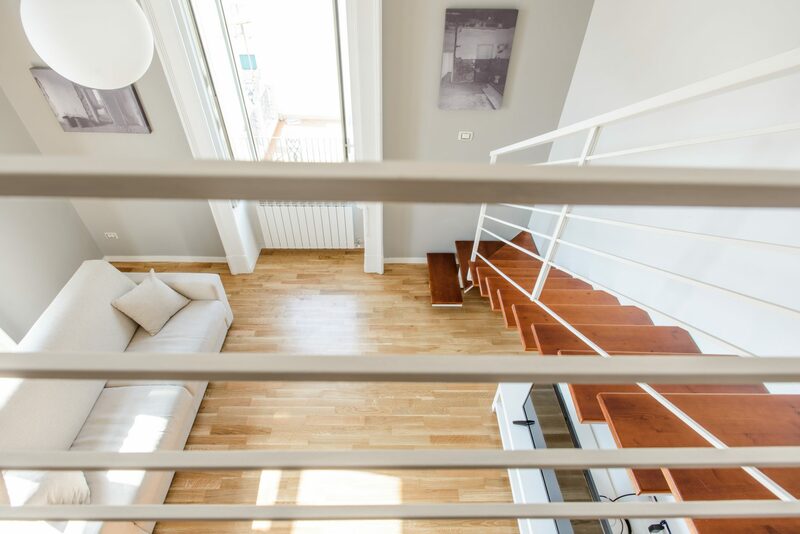 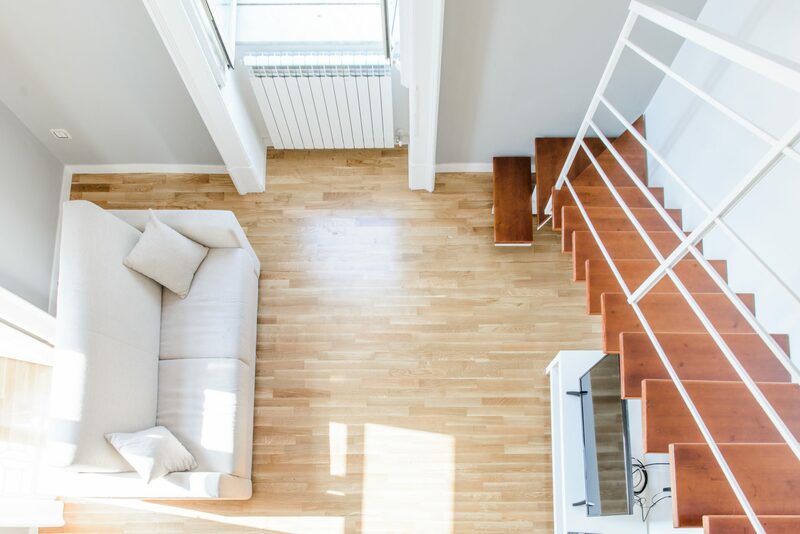 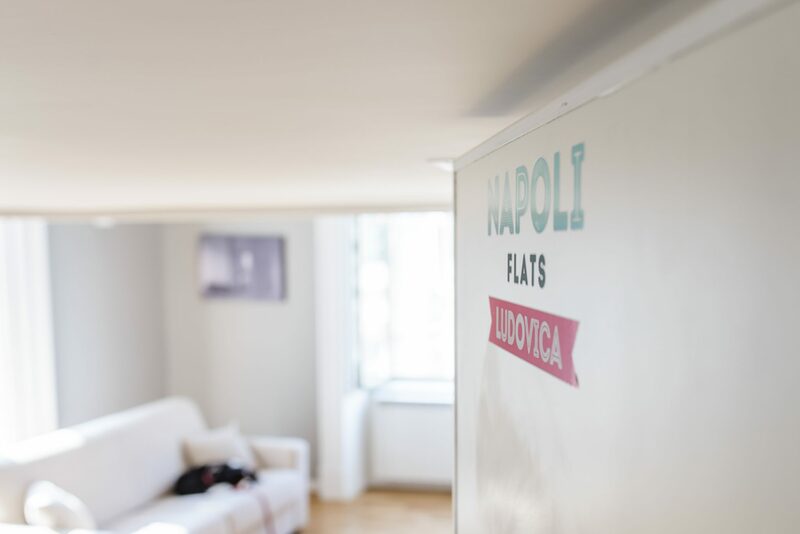 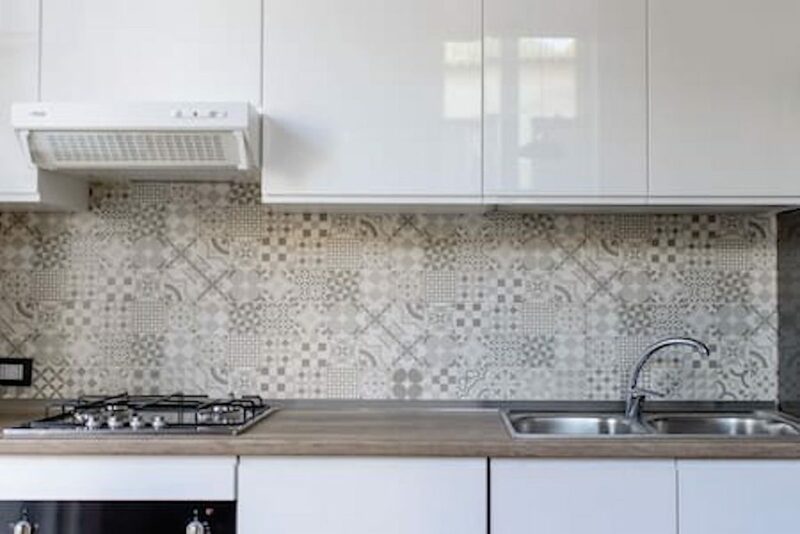 Napoli Flats are newly renovated apartments in Naples’ city centre, just a few steps away from via Toledo and Toledo metro station. 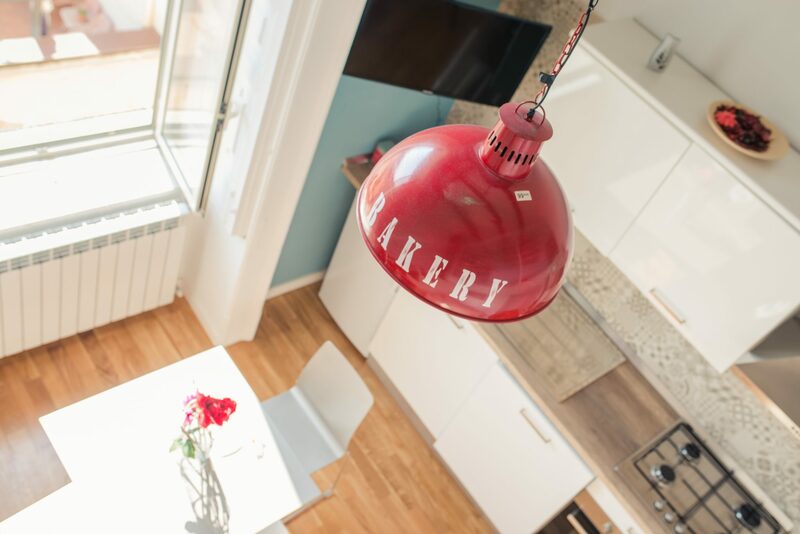 All apartments have their own fully equipped kitchen, fast WiFi, Lounge with flat screen TVs, central heating and air conditioning. 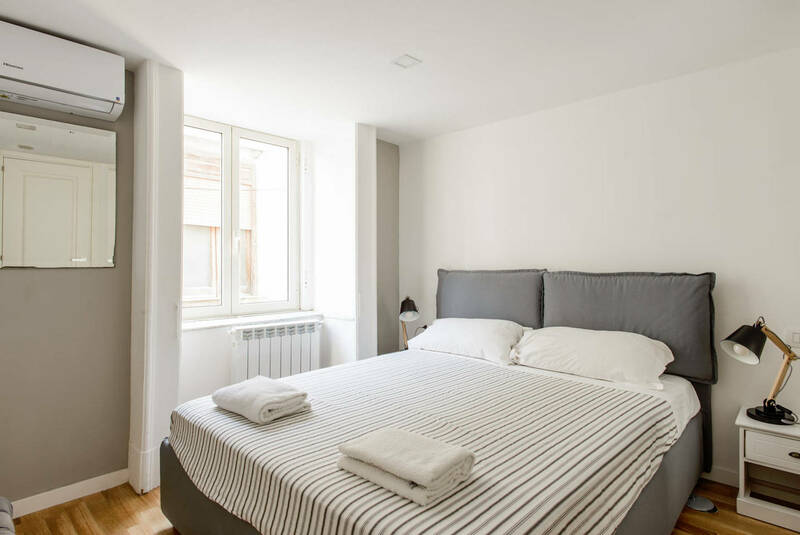 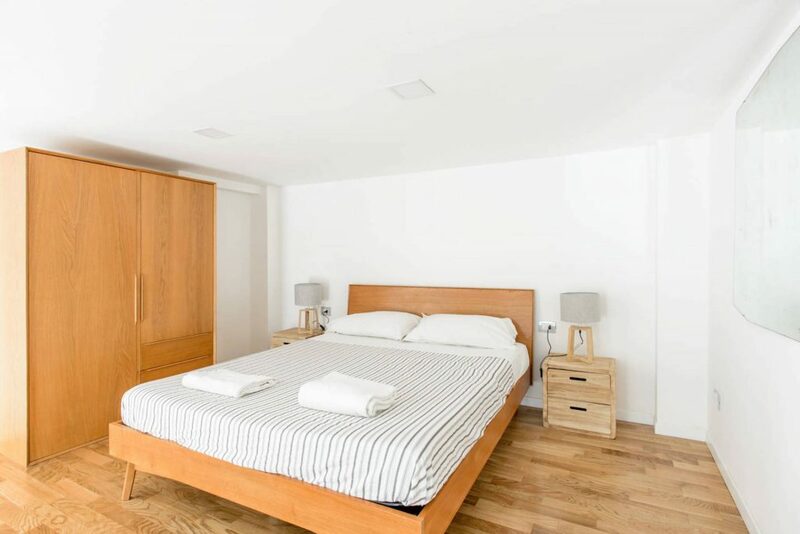 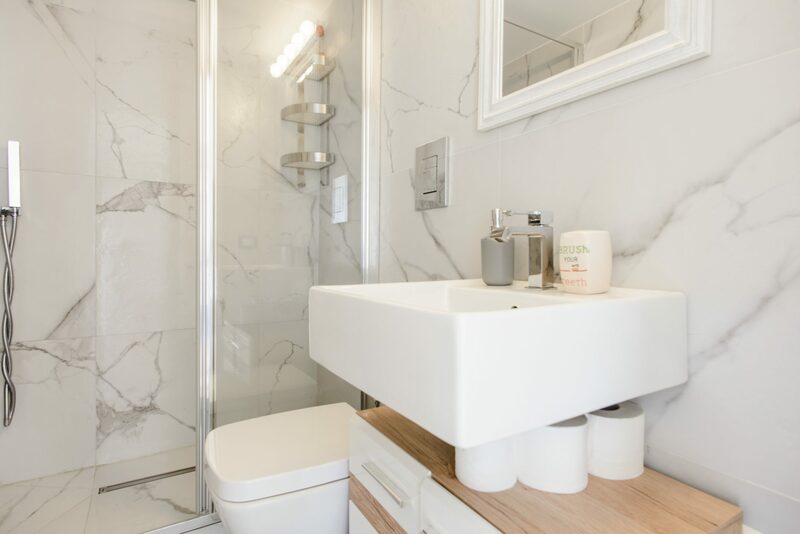 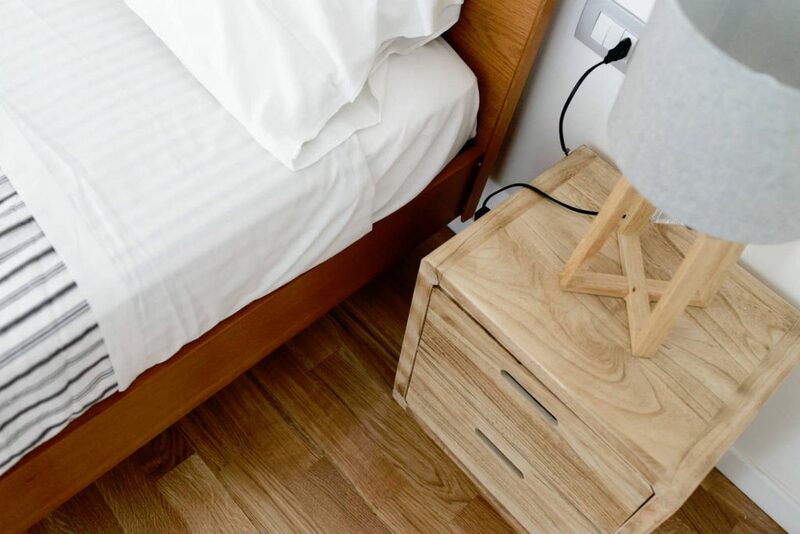 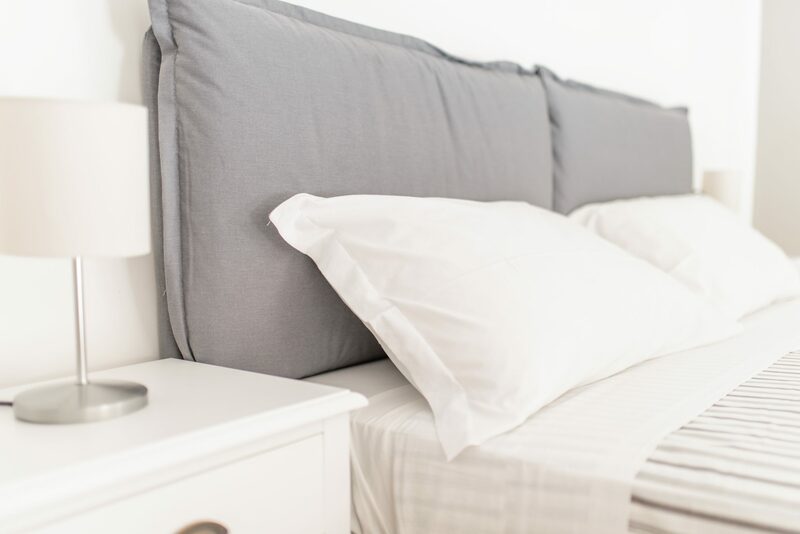 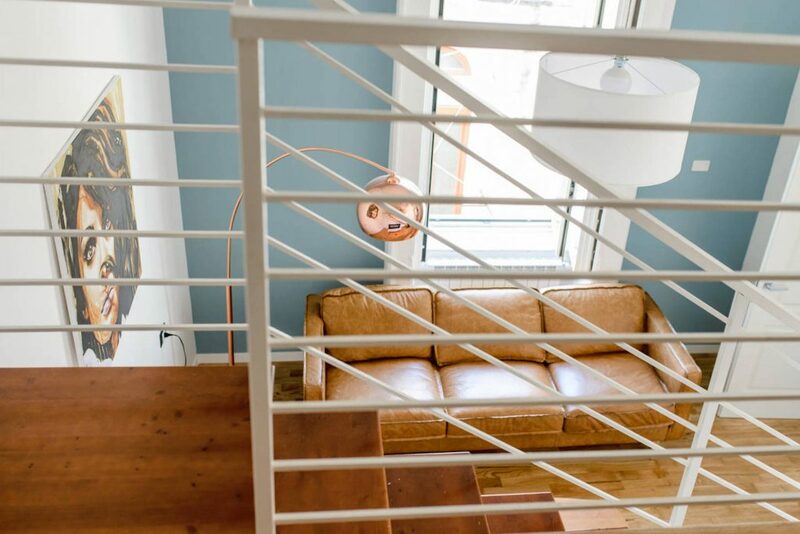 The apartments have varying sizes depending on your group size – from one-bedroom studio to a large three bed apartment. 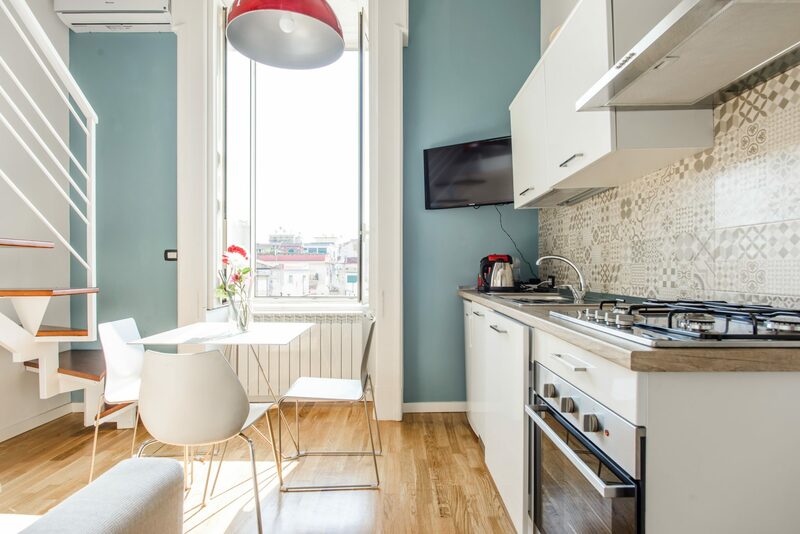 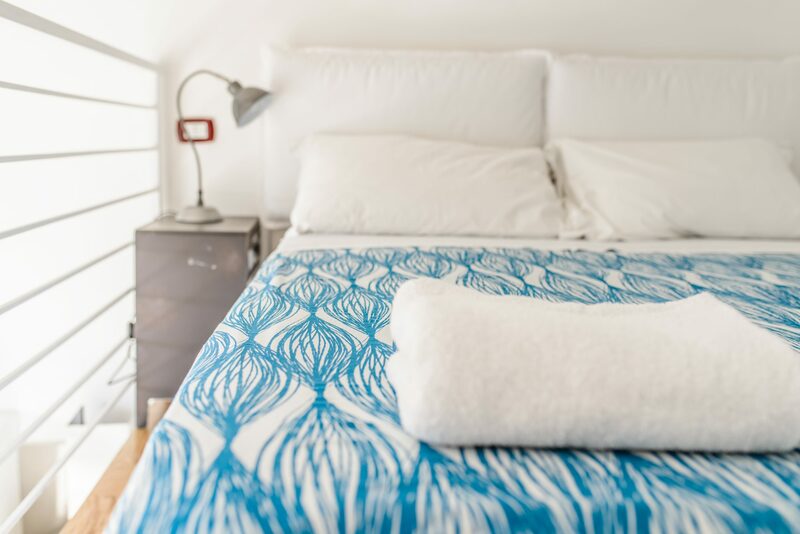 Napoli Flats are perfectly located to discover the best of Napoli, but also great for day trips to Pompei, Capri, the Amalfi Coast and Mount Vesuvius. 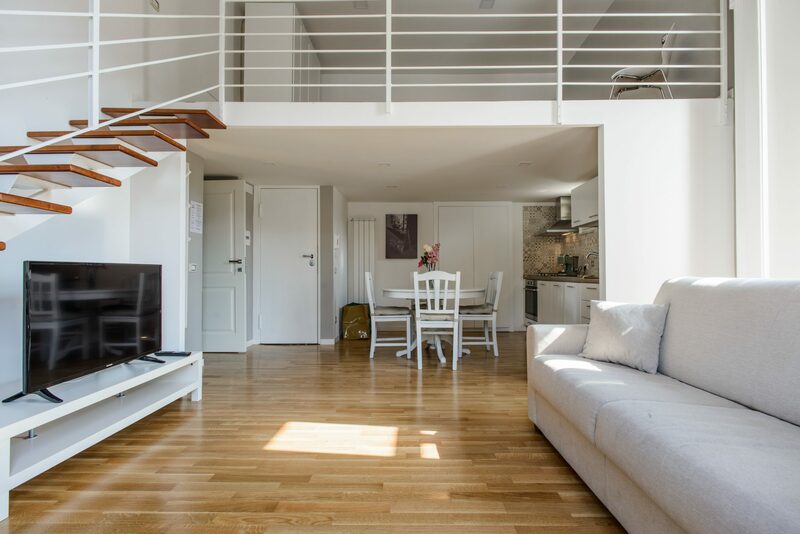 Looking for a long term rental? 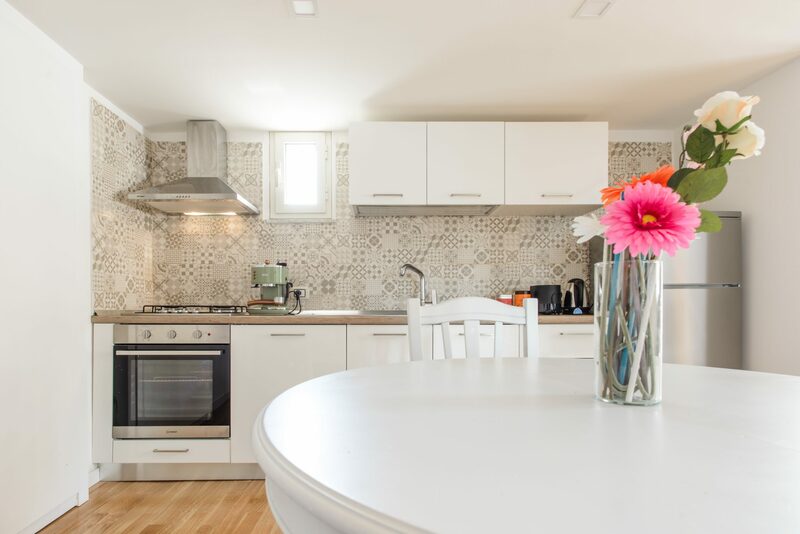 We also consider bookings from 2 weeks to 3 months or more. 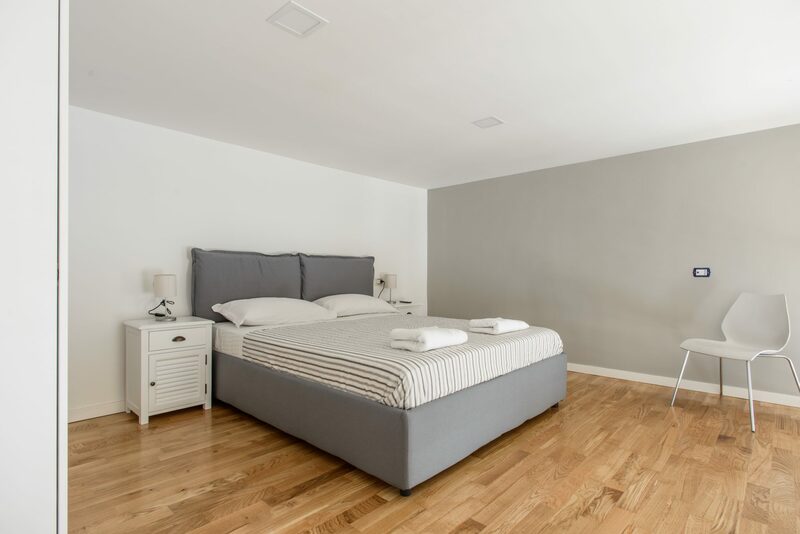 Get in touch for a quote! 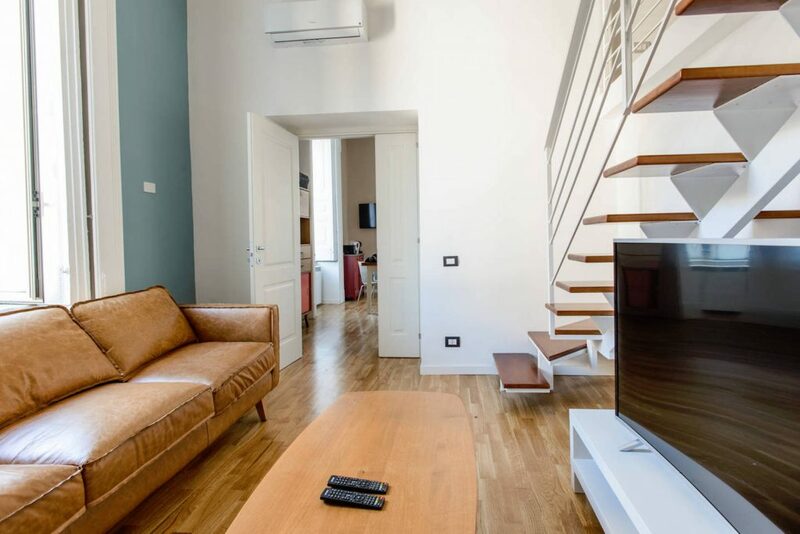 Our bright and modern flats in the very centre of Naples are the perfect place for a city break! 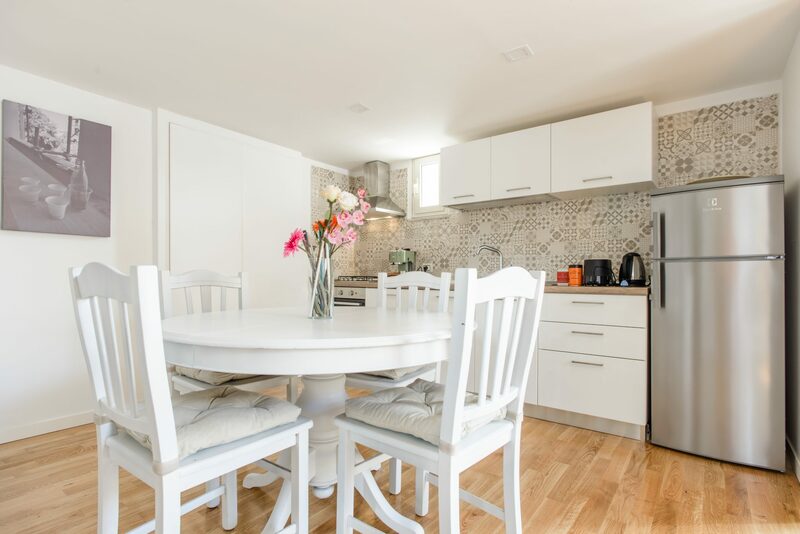 Jasmine is a roomy three bed apartment with two bathrooms spread over 100m2. 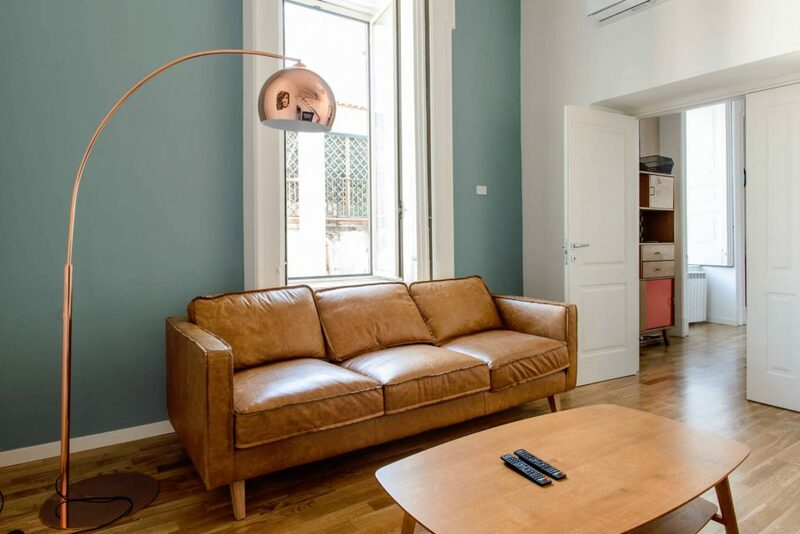 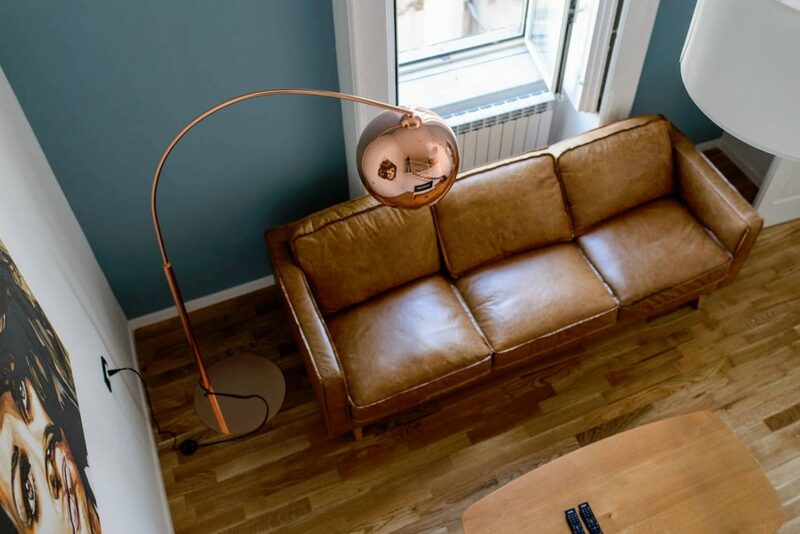 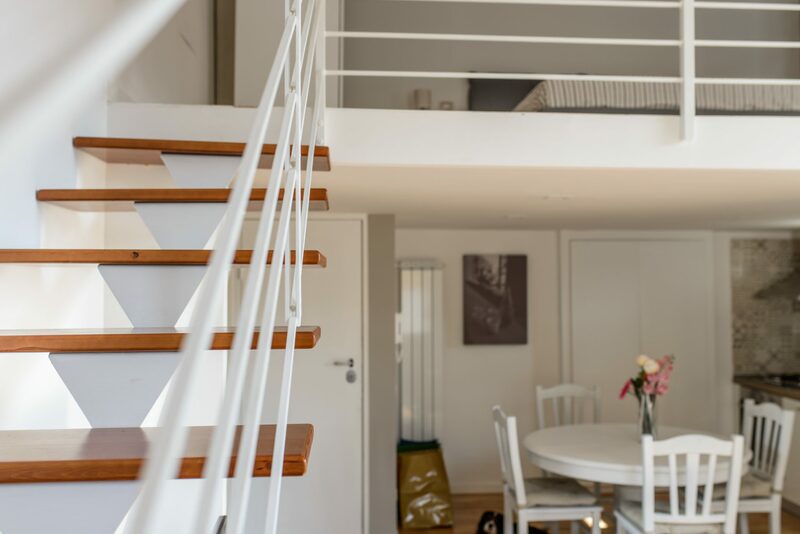 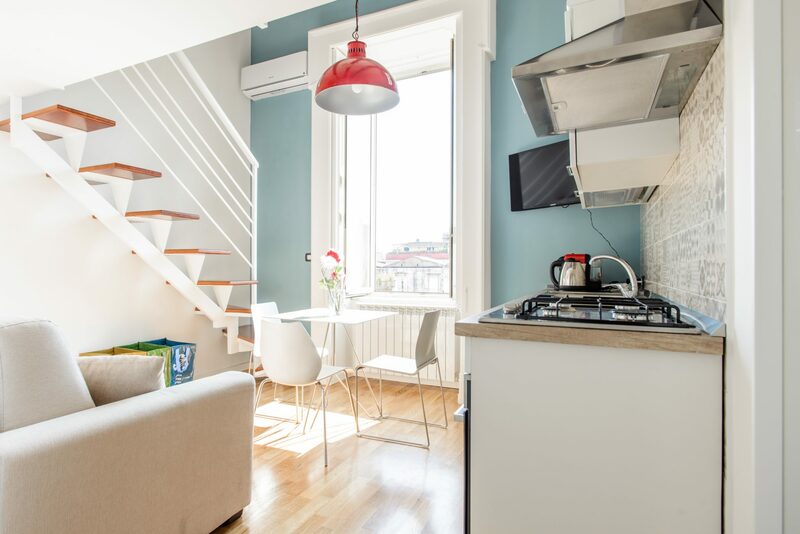 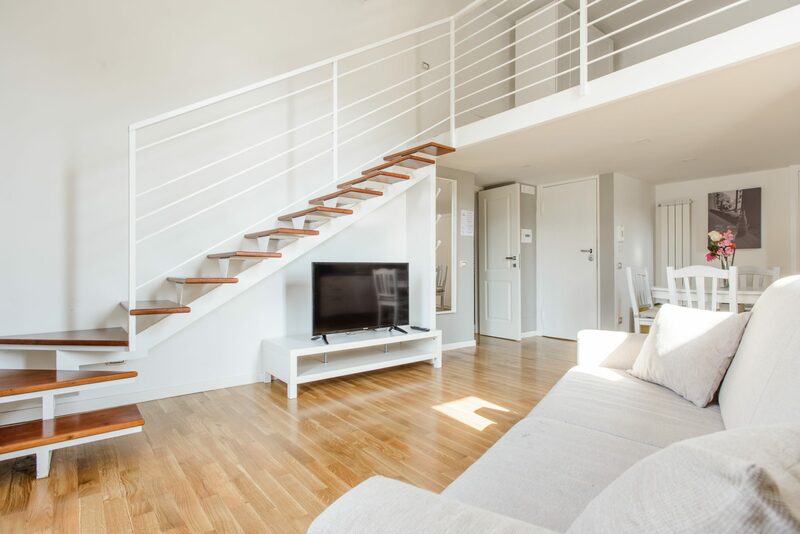 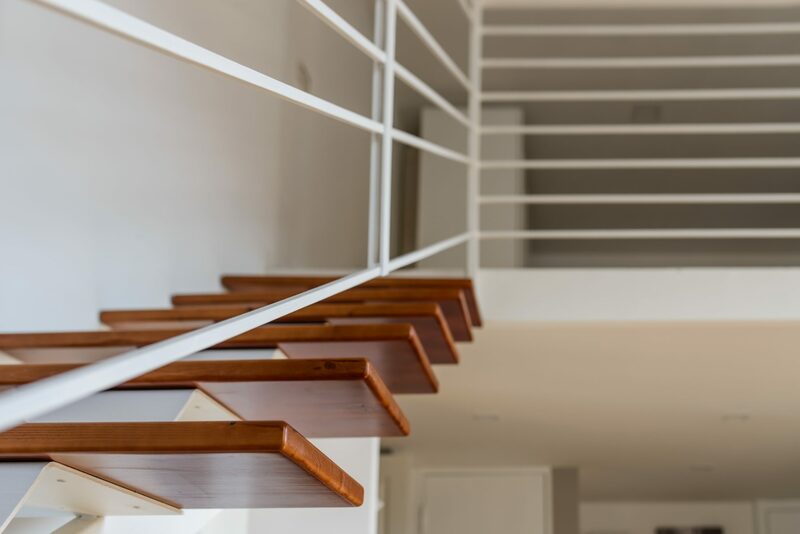 There is an open-space living room and kitchen with balcony and a beautiful view up to Castel Sant’Elmo and over the Spanish Quarter of Naples. 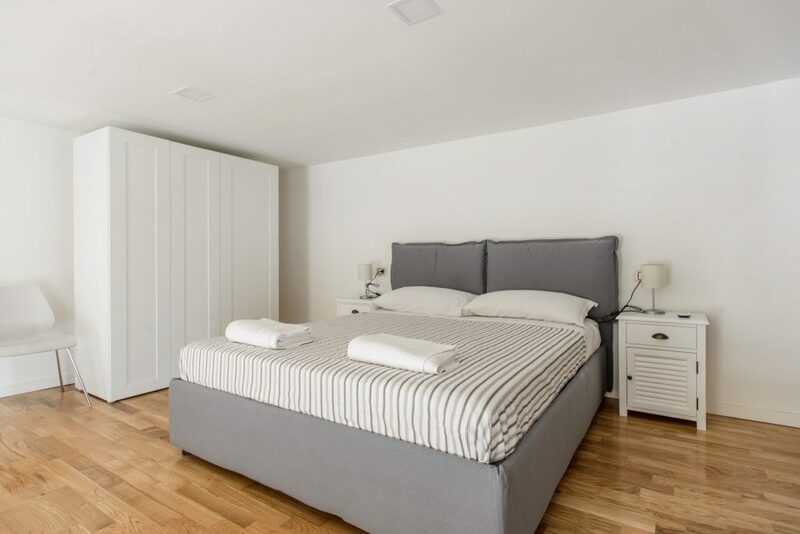 The flat was refurbished in 2017 and furnished to a high standard! 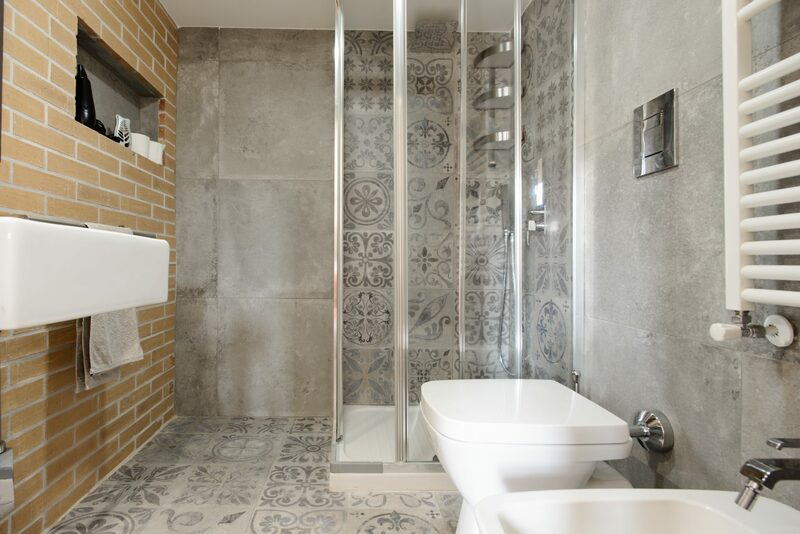 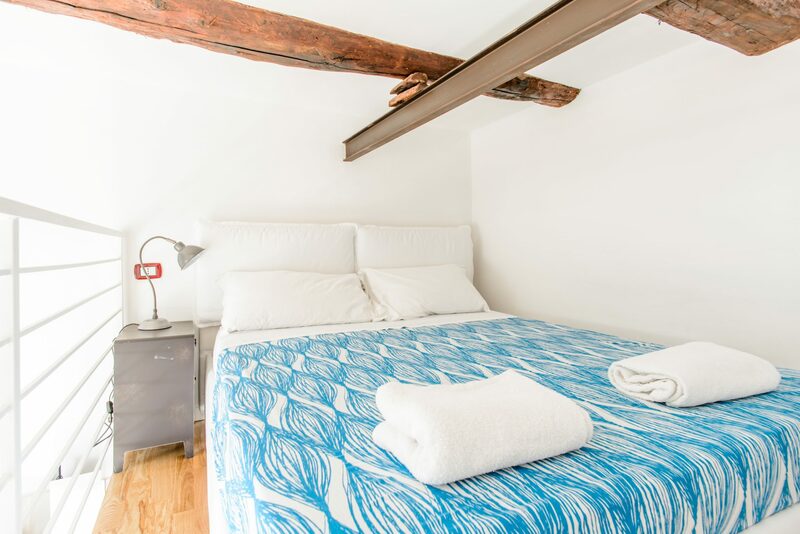 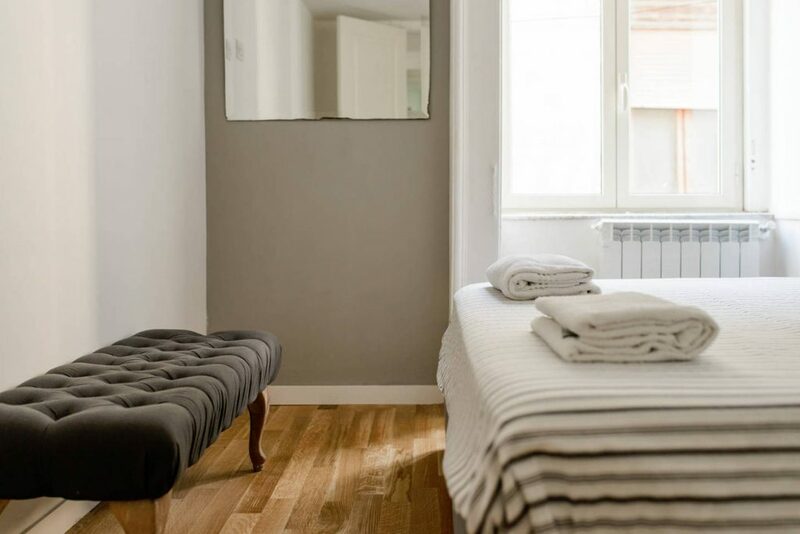 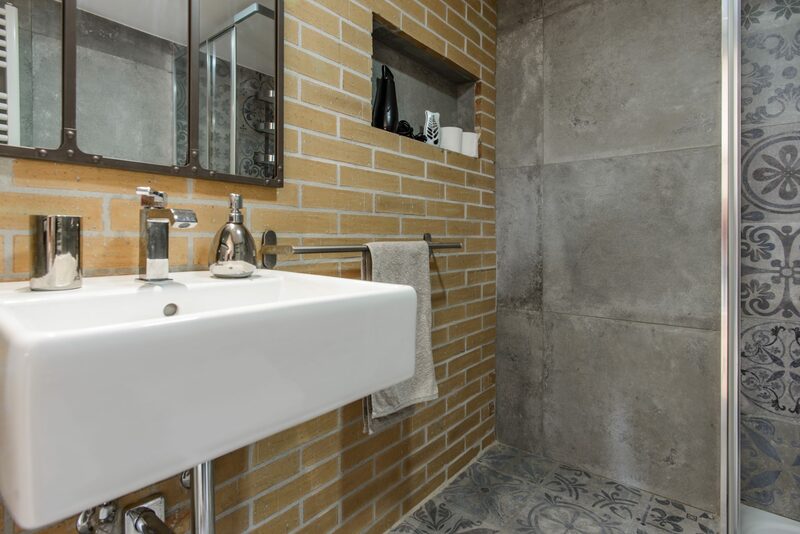 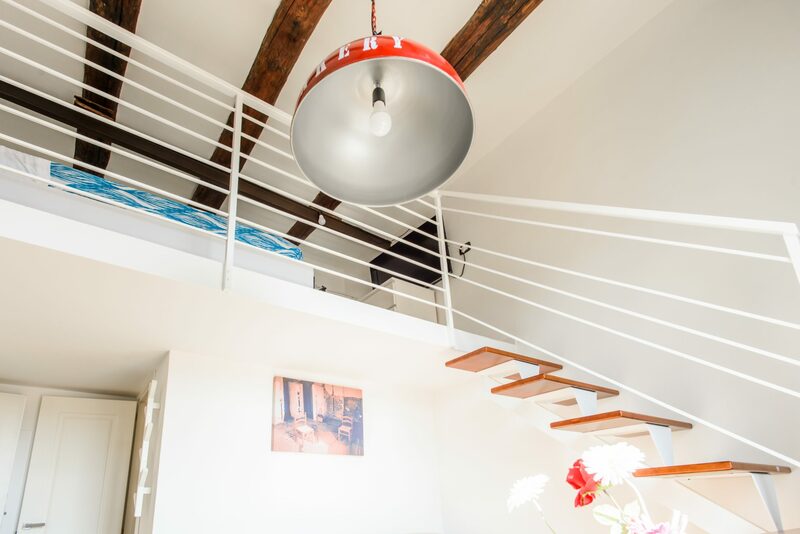 Ludovica is a large one-bed apartment with bathroom. 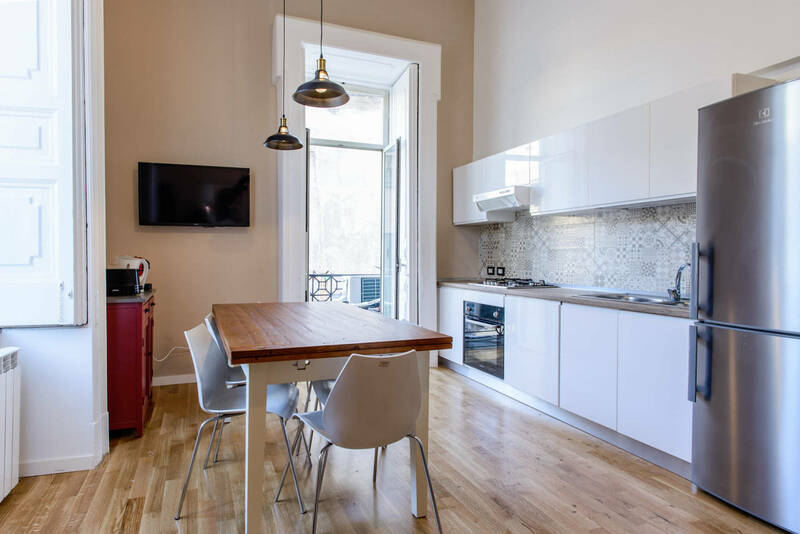 The flat is 50m2 and there’s plenty of space for socializing over dinner cooked in the fully-equipped kitchen! 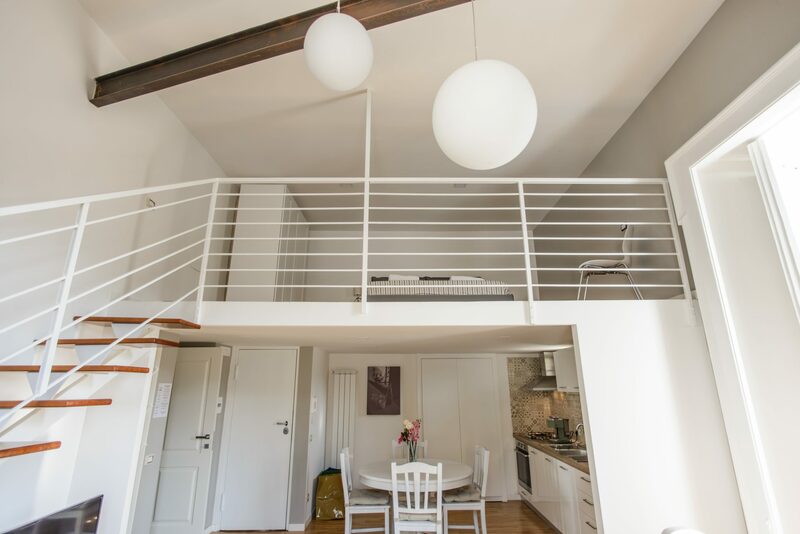 The flat’s balcony has a great view of the Castel Sant’Elmo and over the rooftops of Naples. 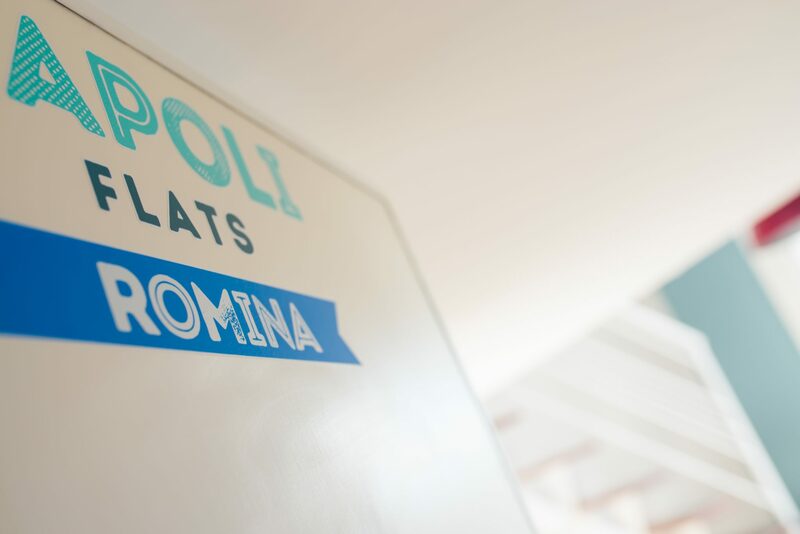 Romina is the smallest of the apartments at 30m2. 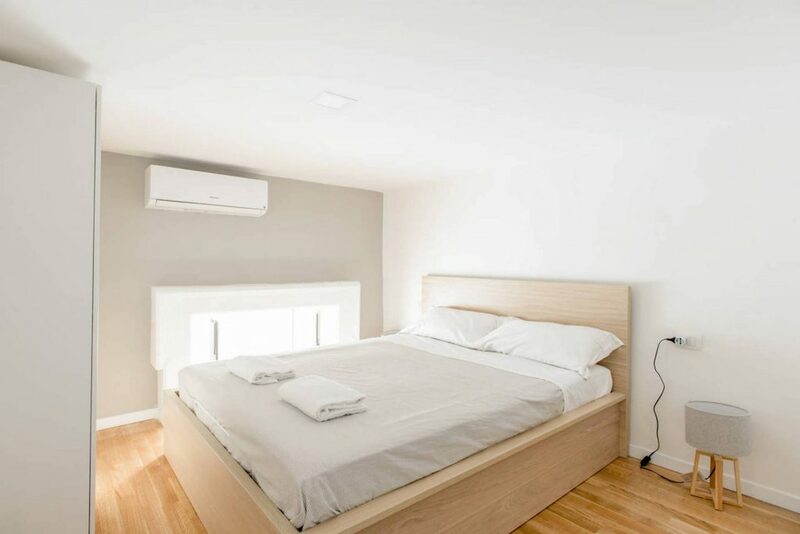 It’s a perfect space for a couple to share, or a group of three friends. 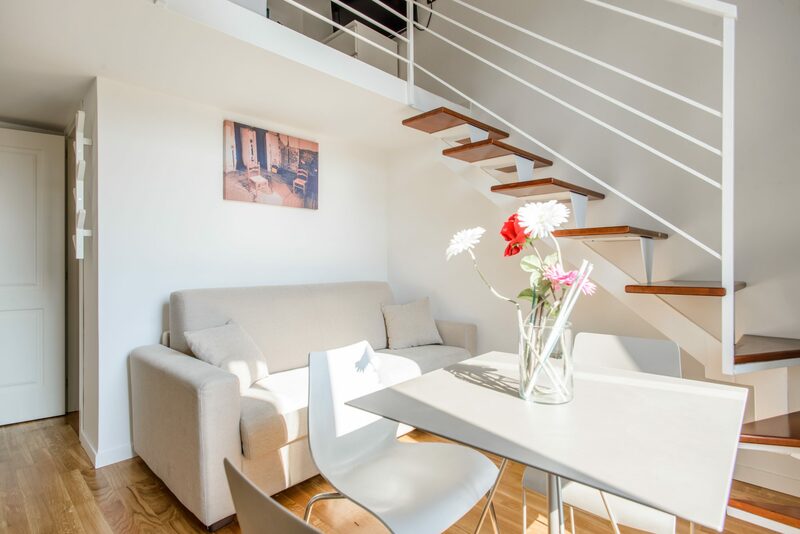 There’s a fully-equipped kitchen and sofa bed downstairs, and a large double bed on the mezzanine level. 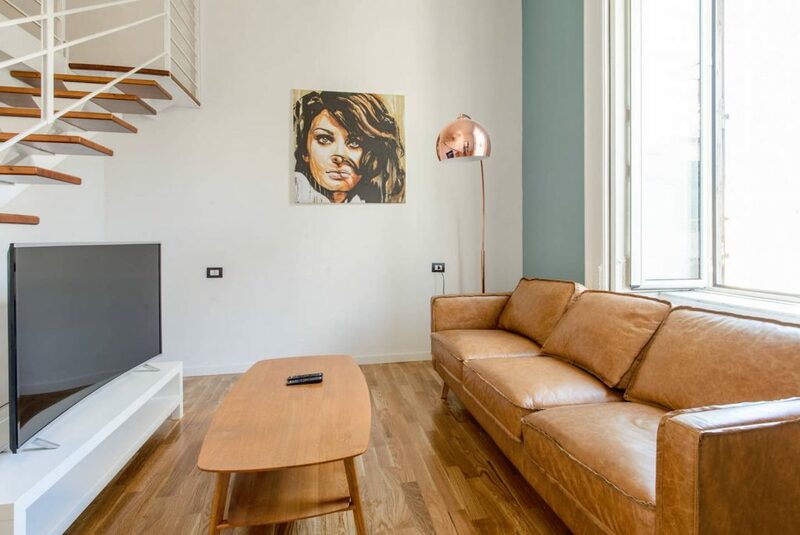 In less than ten minutes walk you are in the heart of Naples’ Old Town, and in the opposite direction 5 minutes will bring you to the main square, Piazza Plebiscito. 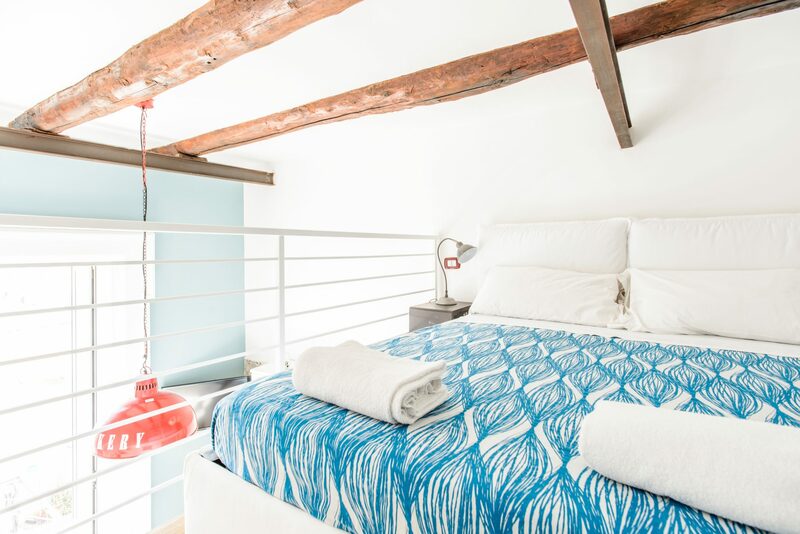 Another five minutes’ stroll and you’ll be on the seaside ‘lungomare’ and at the beautiful Castel dell’Ovo.